The Hispanic community began settling in Canada at the end of the 60’s as the result of a migratory wave that was followed by others in the next 30 years. As a consequence of this process the number of Hispanic seniors in the GTA increased notoriously by the time of the new millennium. A large number of these seniors arrived in Canada late in their lives and in many cases they came to help the young families of their own children. This created a situation of isolation and lack of resources when they became more independent from their families. The foundation of ASHTOR was the culmination of a process that was preceded by the work done by a number of seniors “clubs”, normally attached to other community organizations. These clubs were instrumental in taking the first steps toward the efforts to decrease the isolation of the seniors in a society with a different language and customs. 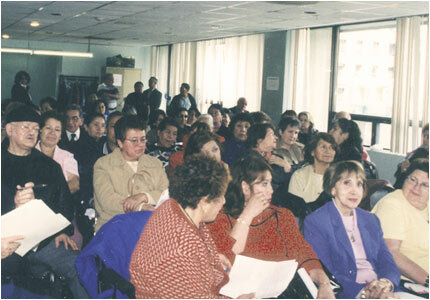 By the year 2000, a group of visionary individuals perceived the need to organize a Hispanic Seniors conference in order to identify their needs and priorities. With the collaboration of the Hispanic Development Council the conference was held in November 2000. In the plenary session of this event, the participants concluded that it was necessary to create an organization to deal with matters beyond the purely social or recreational activities, but also to have the capacity to advocate to the different levels of government on behalf of the seniors. After a process of study and consultation ASHTOR was incorporated in September 2003. 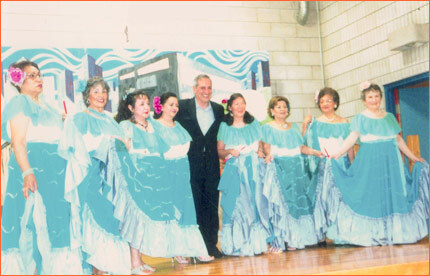 First public appearance of our dance group, with the assistance of Federal Minister Tony Ianno (2005). The new board of directors began to work immediately to attain the objectives of the association. Thanks to two grants from Social Development Canada through the New Horizons for seniors program, ASHTOR has undertaken activities to eliminate the isolation of the seniors in the GTA and has been able to establish an office and an administrative infrastructure, which allows the organization to pursue its noble ideals and principles.